Reusable and good for hot and/or cold treatment. Can be inserted into Back Support sleeve. Gel compress has quilted design for keeping gel in place and evenly distributed. 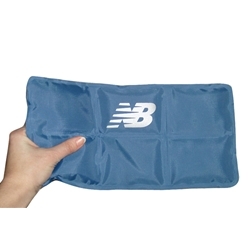 Also effective without the Back Support for effective treatment of swelling, aches and pains, discomfort elsewhere on the body.